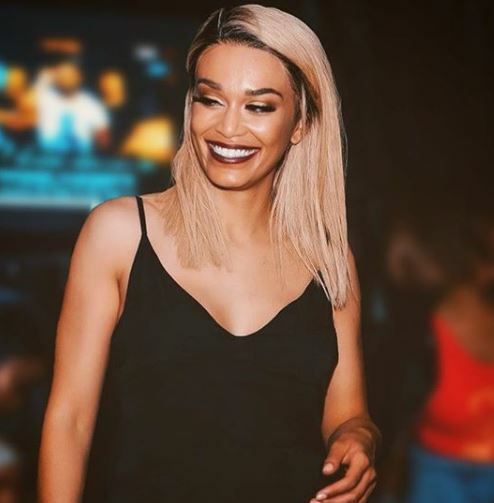 Thespian Pearl Thusi shared on Twitter how she escaped a scammer, impersonating DJ Sbu. Most SA celebs social media accounts have being hacked, thus, exposing the public to fraudsters. While we are yet to know the story behind how DJ Sbu’s phone got to the hands of a scammer to the point of using his WhatApp. She narrated how the scammer charged her a fee for a festival. But, the actress escaped this trap after the impersonator blocked Thusi after much questioning from the mother of one. “Someone just tried to scam me using DJ Sbu’s phone… Then they blocked me” Pearl tweeted. ← Previous Story Boity and Thulisile in same dress | Who killed it better?